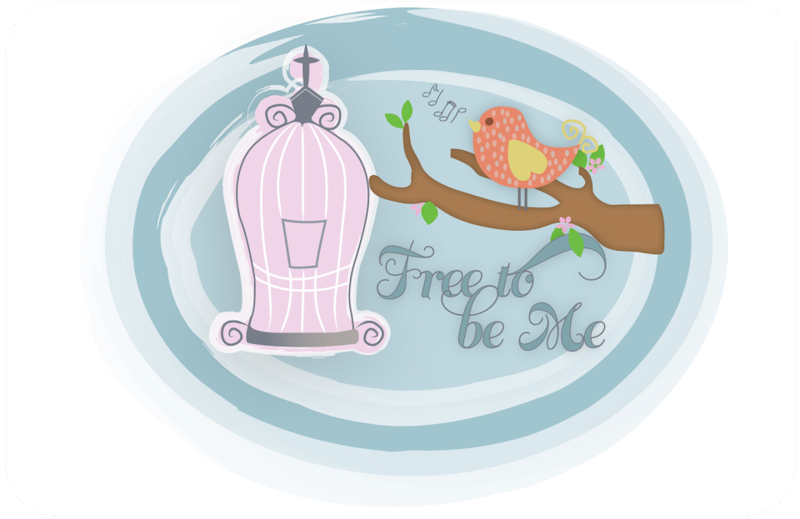 Free to Be Me: Intoxicating! This is a repost because I am experiencing the exact same smells and thoughts!! 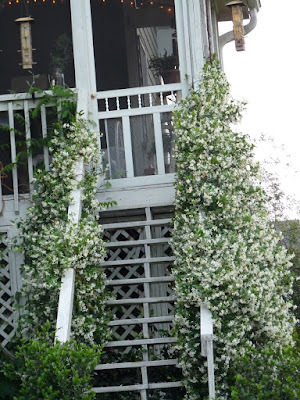 The view of the jasmine winding up the porch! It's no secret, if you have read my blog at all, that my back porch is my sanctuary! I have a sign over the bed out here that says, "Come away to a secret place and rest for a while." 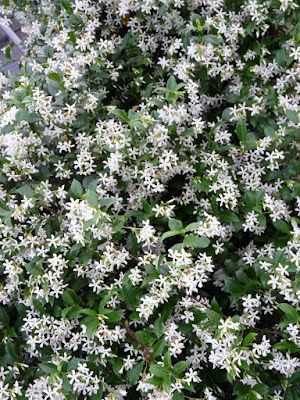 As I sit out here this morning, the smell of the jasmine winding it's way up the steps is intoxicating! It hits you as soon as you walk out the door or around the corner of the house and it fills me with great joy and leaves me wanting more as I go throughout the day. 2 Corinthians 2:15 says ~ "Everywhere we go, people breathe in the exquisite fragrance. Because of Christ, we give off a sweet scent rising to God, which is recognized by those on the way of salvation—an aroma redolent with life." It is in the secret place with Him that we take on the fragrance of Christ. As I sat here this morning contemplating Him and singing to Him, I become a little more fragrant to those I will come into contact with. Some, who are unfamiliar with the fragrance, will not be able to identify what it is, but they will be forced to acknowledge it none-the-less.